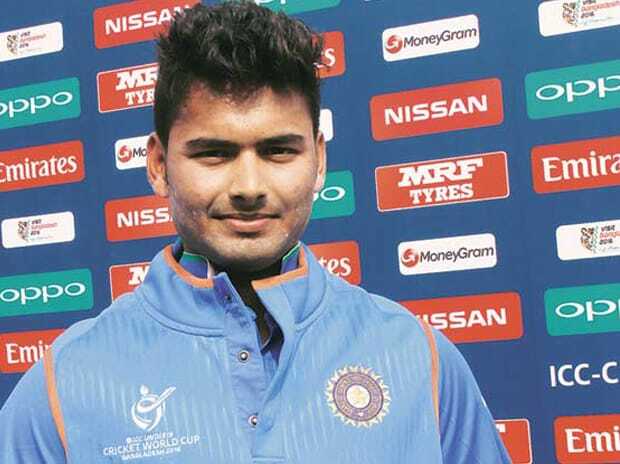 Wicket-keeper batsman Rishabh Pant smashed his way into the record books with a 24-ball 78 as India colts gave Nepal a rude reality check by handing them a seven-wicket hammering to finish their league engagements unbeaten in the ICC U-19 World Cup on Monday. India will either meet Bangladesh or Namibia in the quarter-final of the tournament. Left-hander Pant, who is in the IPL wish list of many franchises in the upcoming auction on February 6, hit nine fours and five sixes during his fastest 50 in the U-19 World Cup history as India cruised to the victory target of 170 in only 18.1 overs. For the record, Pant’s 50 came off 18 balls, which is the fastest in the history of the tournament.